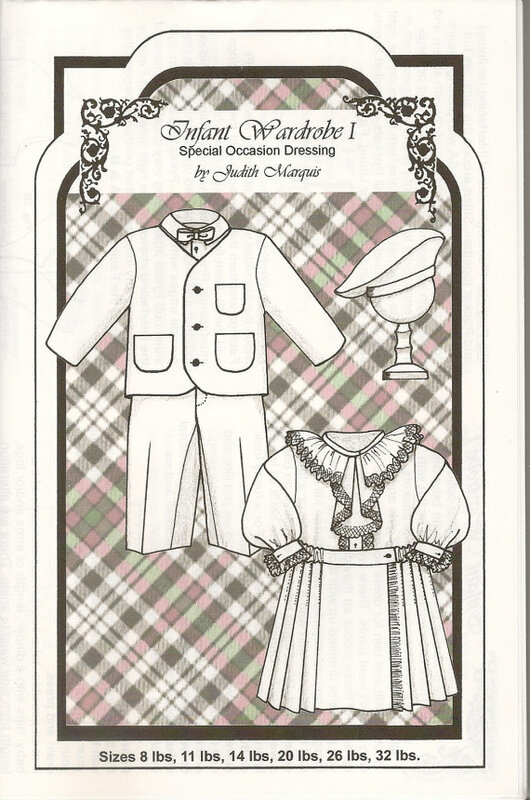 My friend Judith Marquis has come out with a new pattern for infants called 'Infant Tuxedo Jacket'. 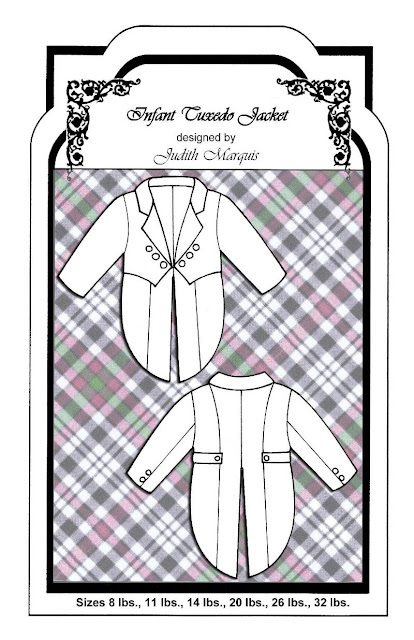 I've made the pants and jacket from this pattern and not only is it easy to make but Judith includes a whole lot of design ideas to consider before and during construction. Plus that, she also has a lot of construction tips, tricks and how to's in all of her patterns. To see the rest of her patterns go here. And while you're there, sign up for her newsletter. To get to her blog that's full of tutorials go here. If I can have another baby I am buying those patterns!